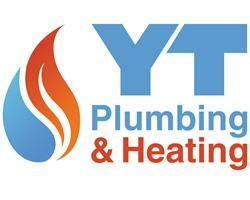 YT Plumbing & Heating Limited - Central Heating Engineer, Plumber based in Stevenage, Hertfordshire. Established for many years, we are a professional plumbing and heating company based in Stevenage. A trustworthy and reliable company with over 10 years in the trade. At Y T Plumbing & Heating customer satisfaction is always our number one priority and we will always ensure that our work is finished to the highest standard. Thank you for taking the time to visit our page today, we look forward to receiving your call.